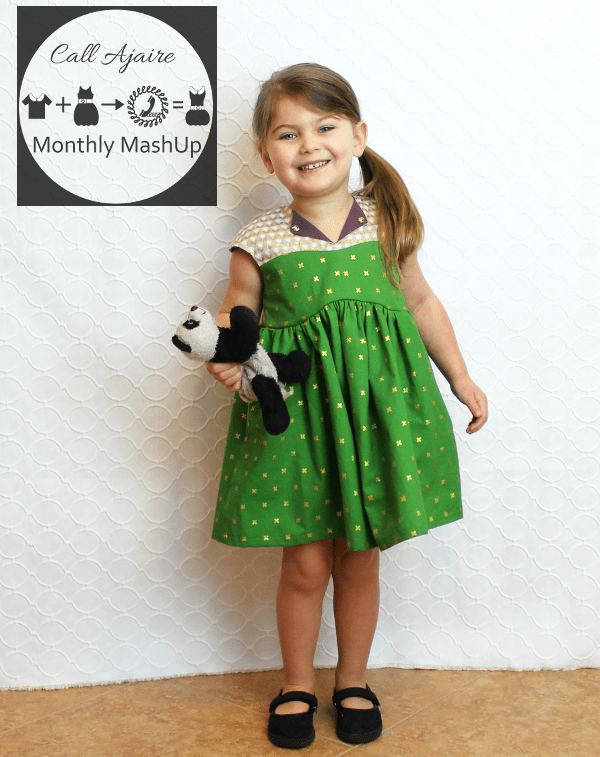 Yesterday in the Monthly MashUp Intro I showed you my Lotta Dress and Gardenia Dress, so now it’s time to share the February Monthly MashUp! I took my favorite parts of both dresses and I am so pleased with how it turned out. 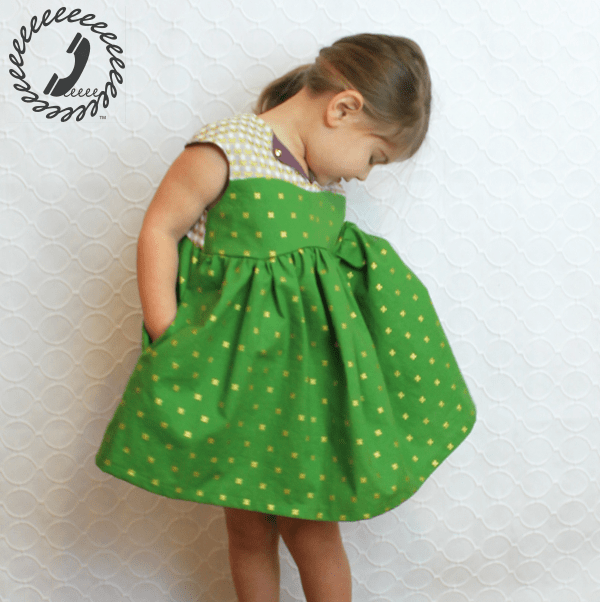 All of the fabrics are from Imagine Gnats (*affiliate link) and I adore how they work together. The green is a cotton + steel, the bodice yoke and back bodice fabric is the gold charms double gauze, and the purple is a solid double gauze. I love the cap sleeve of the Lotta and of course that signature fold-over neckline so I decided to keep those elements in the mashUp. 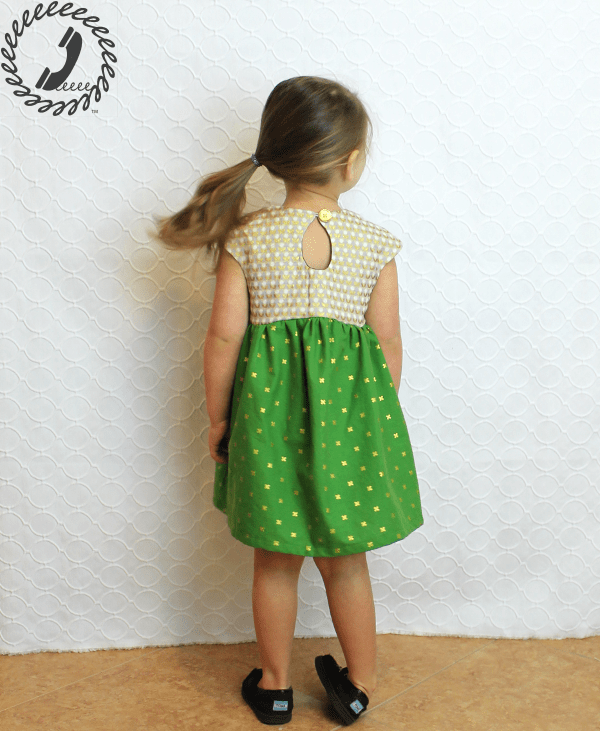 I used the chest panel and keyhole neckline of the Gardenia along with its billowy skirt’s shape and pockets. Oh the pockets… always entertaining hehe. 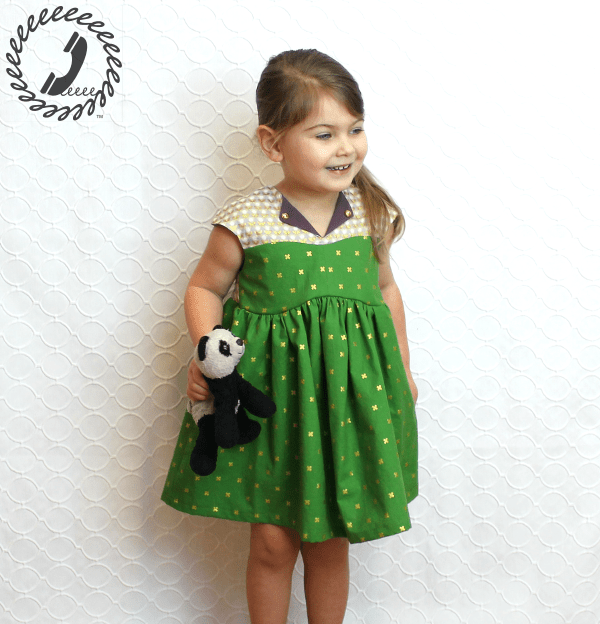 Don’t forget to enter the giveaway to win each of the pdf patterns, add your mashUps to the link up or Facebook Group, and come back tomorrow to see how the patterns were altered to create the mashUp! Love your mash-ups Ajaire! The green and gold are great together.